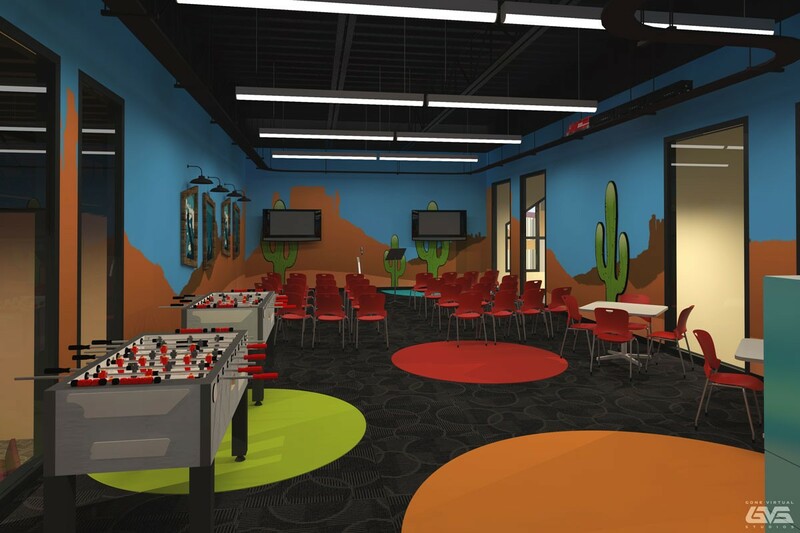 Pastor Ty Bean had a grand vision for Cowboy Junction Church in Hobbs New Mexico. 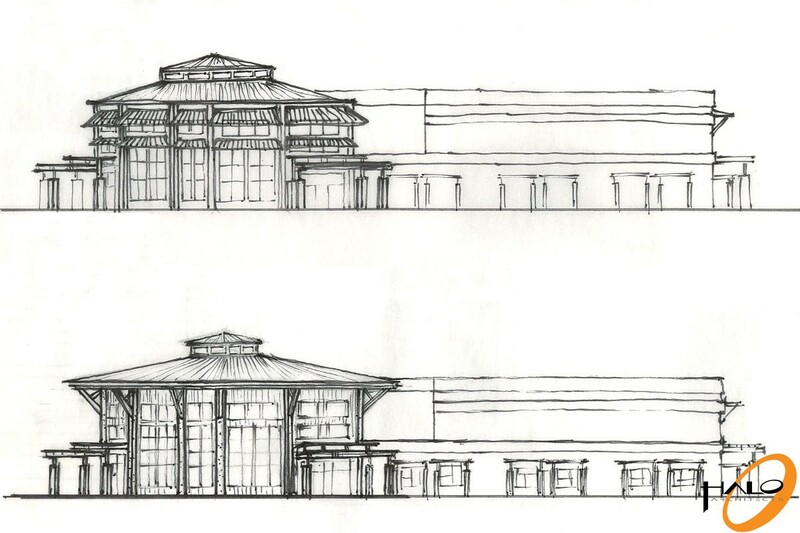 In addition to considering a name change, the current growth and projections mandated that he meet with an architect and planning group that could address the church’s immediate needs, as well as the future. 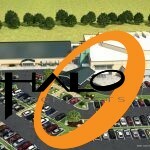 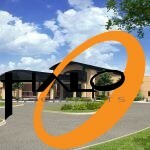 Halo worked with the church leadership and staff by meeting and interviewing each member in an effort to gain insight in how the current church functioned and how it would change with a new facility and church name. 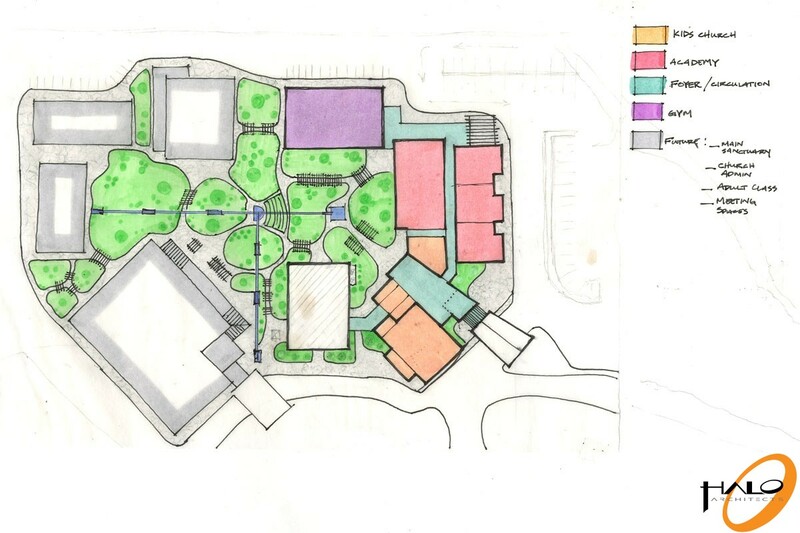 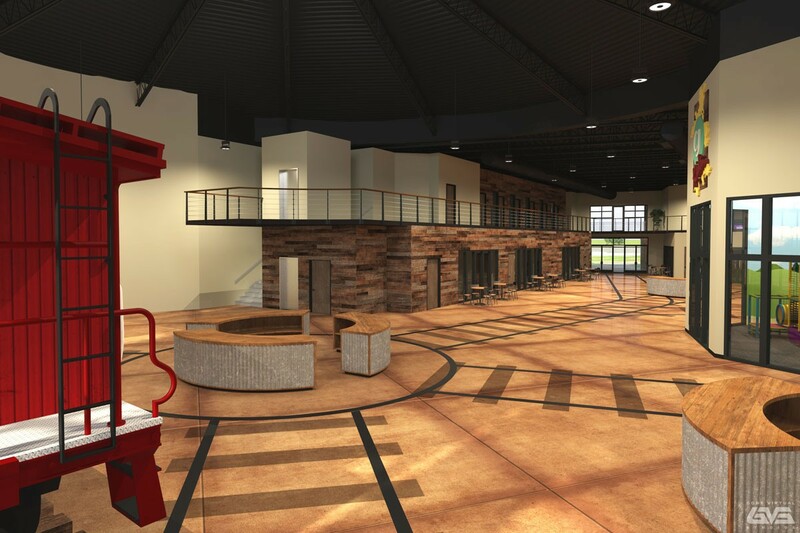 The result is a fluid multi building Master Development Plan, with a 25,000 square foot first phase Children’s Church that will temporarily include a large gathering space where the adults will worship. 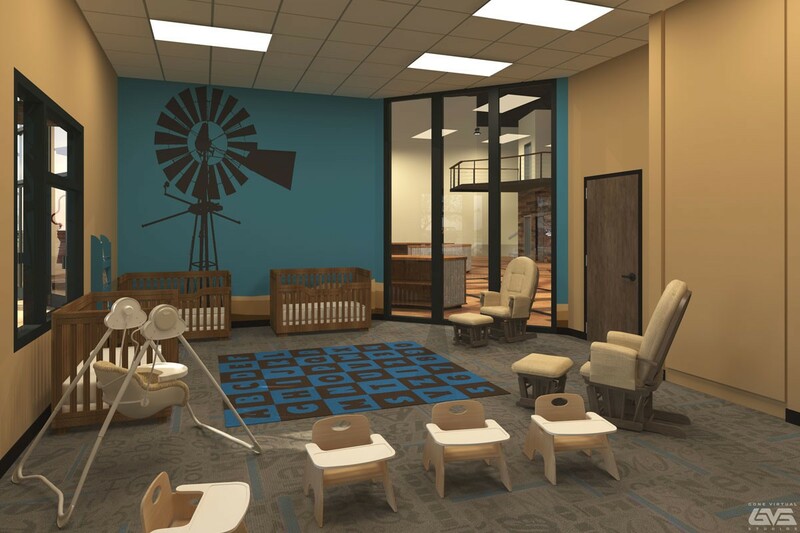 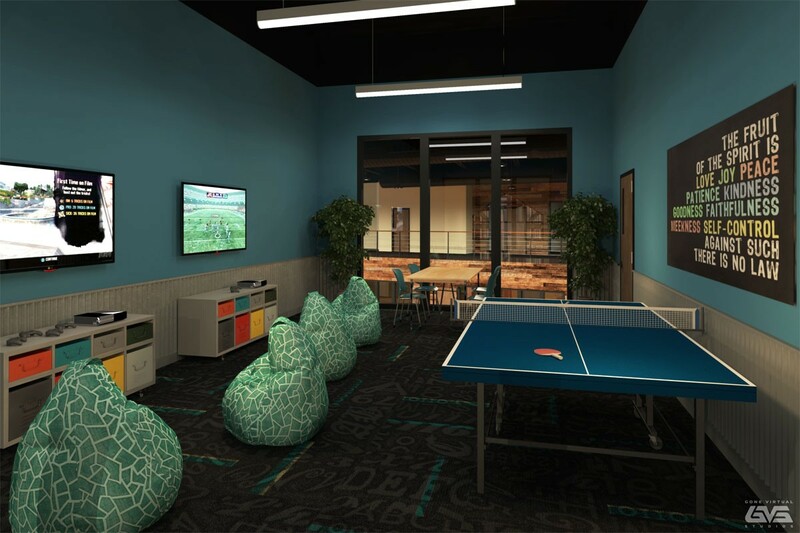 The lobby is designed to not only accommodate the traffic of parents with children, but also provide connection space for gatherings prior to and after church services. 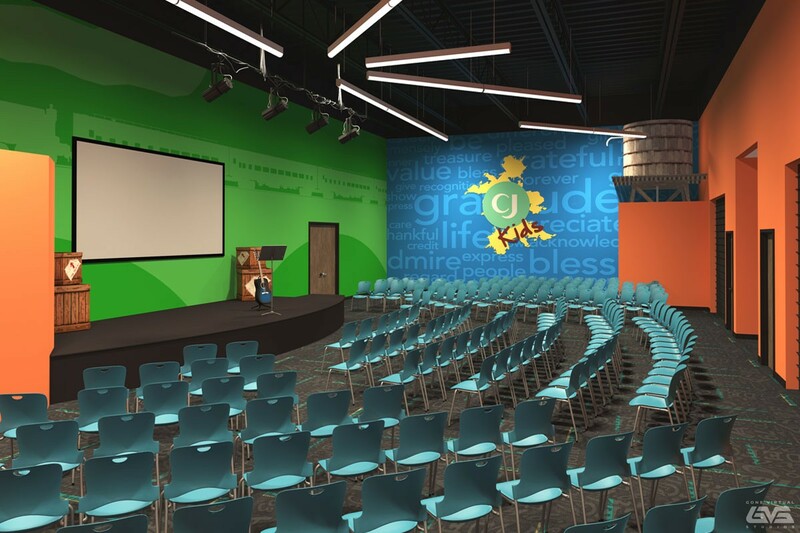 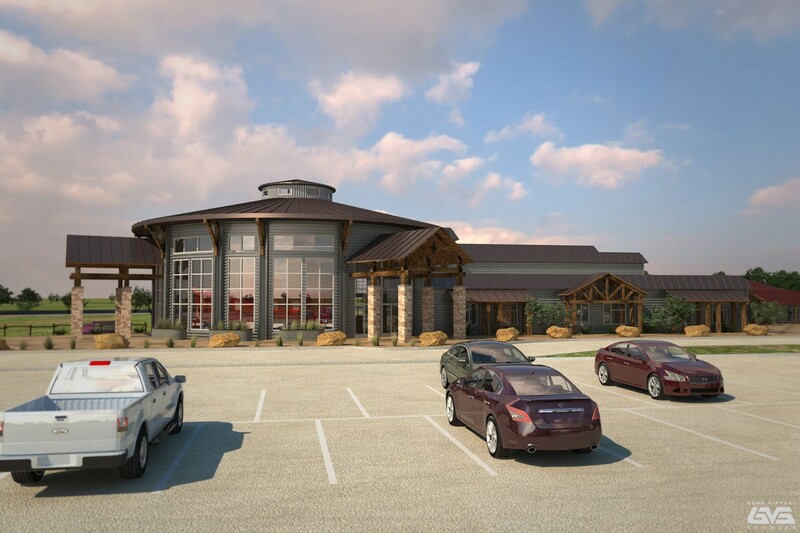 Phase two will consist of the construction of the new large adult worship center, connection lobby, cafe, and the renovation of the adult space in the Children’s Church to be the 5th grade theater, as originally planned.